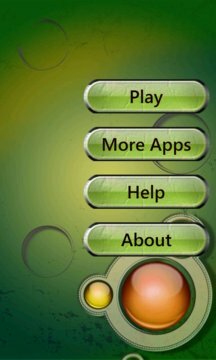 Marbles Solitaire is a highly addictive single player strategy game based on a classic Peg Solitaire or Solo Noble or Brainvita board game. 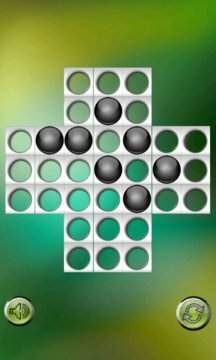 Marble solitaire is a take on the classic Chinese solitaire game.There are 30 levels in this game. The goal of this classic Marble Solitaire strategy game is to remove as many marbles as possible,by "jumping" one marble over another,either horizontally or vertically. First ,tap a marble to move.then tap an empty space to move that marble to. The marble jumped will be removed. No diagonal moves allowed. Continue untill you have only 1 marble left,Play ends when you are unable to move any marble. Challange your brain or lose your marbles ! 5 or more left :-You need practice ! 2 or 3 marbles left :- Pretty good. 1 marble left :- You'r an expert !